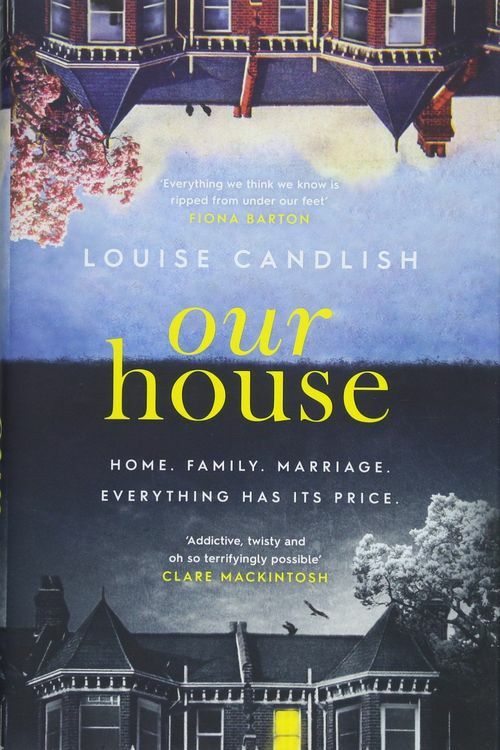 OUR HOUSE by Louise Candlish is an alarming psychological thriller and one you will never forget. This is a storyline that is unique in itself which makes it all that more interesting to read. Candlish does an unbelievable job making it easy to follow the characters as the story develops into a page-turner unlike any other. Soon enough, secrets being to come out. Bran is not the man Fiona thought she was, but where have he and the boys disappeared to? One crime after another become clearer, and more secrets start to fall out of their neat little closet of deception. But is it only her husband's fault, or does Fiona have something to hide as well? OUR HOUSE has many surprises that will keep you from putting it down. It shows how shocking a loved one can be to the point that you don't even know what they are capable of. Louise Candlish did an amazing job creating such a disturbing storyline that you will not be able to put down until the last chapter.